Our appeals followed G7 Chair Angela Merkel everywhere for 6 weeks. Many told us it was a pipe dream, but the G7 Summit of leading world powers just committed to getting the global economy off fossil fuels forever!!! Even the normally cynical media is raving that this is a huge deal. And it’s one giant step closer to a huge win at the Paris summit in December — where the entire world could unite behind the same goal of a world without fossil fuels — the only way to save us all from catastrophic climate change. Our work is far from done, but it’s a day to celebrate — click here to read more and say congratulations to everyone else in this incredibly wonderful community!! 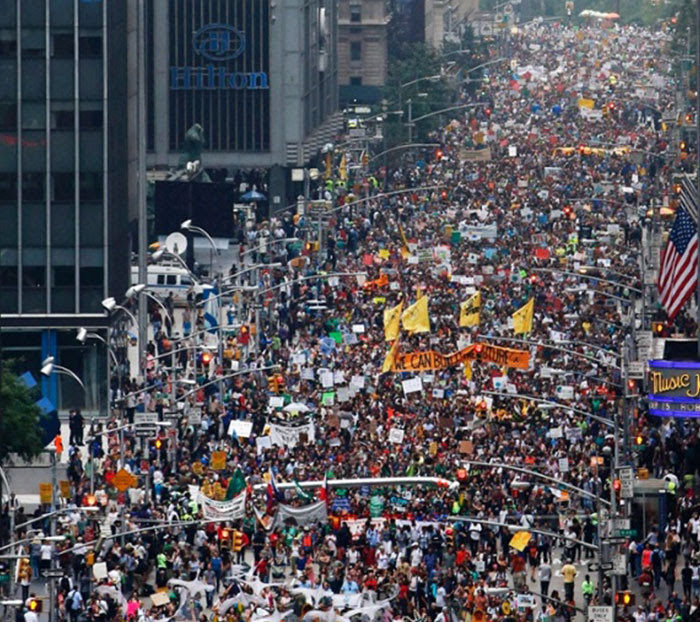 We spearheaded the largest climate march in history – nearly 700,000 strong and a game-changer for political momentum. Just last year climate change seemed to many of us like a behemoth that was dooming our species to a significant probability of extinction due to our own stupidity and corruption. But with hope, and good strategy, (the Avaaz effect:)), and the efforts of many leaders like German Chancellor Angela Merkel and Pope Francis, and organisations like our friends at 350 and the Guardian newspaper’s work on fossil fuel divestment, as well as killer research from groups like the World Resources Institute, most experts now believe the tide is turning, and momentum is building to get a global deal in Paris this year that will set the world on course to a solution. It will be a long fight, we cannot afford to drop our guard, but today, we celebrate a battle won!!! 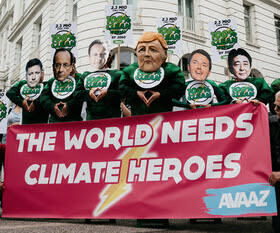 Avaaz.org is a 41-million-person global campaign network that works to ensure that the views and values of the world’s people shape global decision-making. (“Avaaz” means “voice” or “song” in many languages.) Avaaz members live in every nation of the world; our team is spread across 18 countries on 6 continents and operates in 17 languages. Learn about some of Avaaz’s biggest campaigns here, or follow us on Facebook orTwitter. You became a member of the Avaaz movement and started receiving these emails when you signed “Community Petitions Site” on 2012-04-22 using the email address janetlessin@gmail.com.